Butterfly Network plans to begin shipping Butterfly iQ globally to markets that accept CE Mark as early as Summer 2019. Medical professionals can reserve Butterfly iQ now by visiting https://www.butterflynetwork.com/reserve. 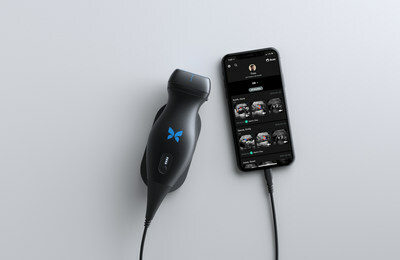 Founded by Dr. Jonathan Rothberg in 2011, Butterfly Network has created the world's first handheld, single-probe whole body ultrasound system, Butterfly iQ, making ultrasound technology universally accessible and affordable. Butterfly Network's mission is to democratize healthcare for the 4.7 billion people around the world lacking access to medical imaging. Through their patented Ultrasound-On-Chip™ technology, Butterfly Network is paving the way for earlier detection and remote diagnosis of health conditions around the world.